Kylie is a Kindergarten Teacher working in the Faculty of Education and Arts. 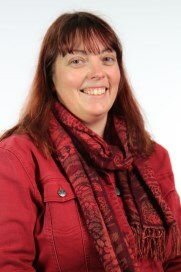 Kylie joined Federation University Australia in 1997 moving in the merger with the University of Ballarat and previous Wimmera Institute of TAFE. Previous to Federation University, Kylie worked at Edenhope Kindergarten where she was a Kindergarten Director and has previously been the Co-ordinator and room leader of Child Care Centres in country and metropolitan areas. Kylie’s research into Nature Pedagogy and unstructured play examines the role that play in natural environments has on educational learning outcomes and the well being of individuals. In particular, the impact of learning with nature in nature through children’s interests is a specific interest of the research. As a former Kindergarten teacher and Child care Director, Kylie has a particular interest in the growing voices of Early Childhood Teachers and Educators. In more specific cases, Kylie is interested in the interplay between societal views of the role that Early Childhood Teachers play out in the community. Kylie has a strong commitment to understanding regional societies and communities and their needs and equity concerns around all facets of education. In relation to meeting diverse student needs, she has a strong commitment to exploring new teaching styles and delivery modes with consideration for equity across both the city and country. Kylie aims to continue working with Early Childhood students in regional communities around access issues and other important rural/regional issues in the Early Childhood Profession. Providing supportive learning environments that allow for diverse learning styles through online and distance education and varied presentation techniques. Lord, A., Burns, J., Nice, K. & Warden, C. 2016, ' Creating capacity to teach with nature to inspire new professionals', at Early Childhood Australia National Conference 2016, Federation University, Ballarat. Kylie is currently enrolled in a PhD at Federation University researching Nature Pedagogy and the teacher’s voices in the Early Years.